When signing up for an account with ThriftStoreWebsites.Com you are agreeing to the terms and conditions stated either here, or during the sign-up process. The terms are very simple. 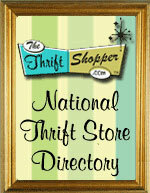 You are authorizing ThriftStoreWebsites.Com to charge your credit card, that you have placed on file, according to the plan you have signed up for. You will never be billed or charged for anything you haven't agreed to. If you have signed up for custom work, or any of our other custom services you will be billed at our "custom work hourly rate" of $50/hour, after your approval of work. If you have any questions or concerns regarding our Terms and Conditions, please email us.